Rinse your mouth with a mixture of warm water with 2-3 tablespoons of salt is the simplest way to heal toothache. Salt acts to draw out any infection while the warm water soothes the pain. It is the least expensive method and since it is a natural remedy, it can be done repeatedly until the pain is manageable. Place a hot water pad or compress an ice pack on the side of the face around the affected area. It will help give a temporary pain relief by numbing the nerve endings. Do this three to four times in a day. It can also prevent swelling from a bad tooth which follows. 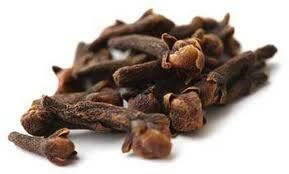 Chew on a clove of garlic or crush the garlic into a paste form and place it on the affected tooth. Garlic is known to have natural antiseptic and analgesic properties. The burning sensation and strong taste maybe unbearable but it is proven to be effective. Try a hand massage over the achy tooth. Rubbing an ice cube for about 5-7 minutes between the thumb and forefinger can reduce the pain by 50percent. It outweighs the pain signals and rubbing impulses are sent along the pathway instead. If a blow has caused a toothache, avoid using the area while eating and do not bite hard. If the vessels and nerves are healthy, the tooth vitality will be restored. Place ground cloves with olive oil or otherwise apply 1-2 drops of clove oil on the achy tooth and surrounding the affected area, it is known to give a tremendous relief. A very effective treatment in cases of dry socket as well. 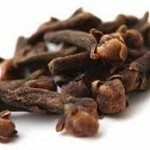 However, clove oil must be used in caution and will not be suitable for those with sensitive teeth. Take a slice of ginger and chew on the affected tooth for an instant relief. Its antibacterial properties can treat infections. Damp a cotton pellet with peppermint or lemon extract and place it over the sore tooth till the pain resides. An alternative will be using a cotton swab dipped in either extracts and applied on the tooth. 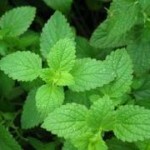 Drink a mix of peppermint leaves with a glass of warm water, it will reduce any soreness and even eradicate other radiating pain such as headaches. Cut cucumber into slices and keep them over the sore tooth. It is advisable to bring them to room temperature in case it has been refrigerated as tooth maybe sensitive to cold. It has a soothing effect. Baking soda is another solution to toothache. A tablespoon of baking soda mixed in a glass of warm water and used as a mouthwash soothes the tooth. 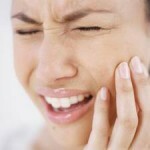 A moist cotton swab coated with baking soda and rubbed against the tooth and gums relieves the pain too. The primary ingredient in baking soda is a base, which neutralizes the acids causing the pain. Tea is a powerful remedy. A used tea bag while still warm after a cup of tea and held over the problem tooth will dull the pain, an effect of the tannins contained in tea leaves. A half spoon of asetefida powder mixed with lemon juice to form a paste and applied over the bad tooth will provide an instant relief. A drop of iodine will be a miracle pain killer to stop the pain when dropped onto the affected tooth. A mix of pepper and salt is a perfect cure especially in cases of increased sensitivity. Ground pepper can be directly applied over the tooth as well. Wheat grass juice has been proven to be an excellent mouthwash for toothache problems. It extracts toxins present in the gums and decreases bacterial growth. These bacteria are associated with gingivitis (gum disease) and it is believed that wheat grass can restore enamel strength to normal. Have you not experienced a toothache before, knowledge on this list of home remedies will help you control the pain when it occurs. Preventive is often the best method ever. Brushing properly in a circular motion and on all surfaces is essential to prevent further decay and toothaches. A gentle brushing on the gums can help improve the blood circulation. In addition to that, floss regularly, rinse your mouth after every meal and follow a healthy diet to be free of toothaches.